& seek a magical refuge to recuperate and re-charge, why not do something entirely different with us this year?! We are going on a unique quest into Tarot for a week and we would love for you to join us – it’s easy and all online! At the Autumn Equinox (September 20th 2016) the days start to draw in and it is time to take stock of our harvest and lessons. 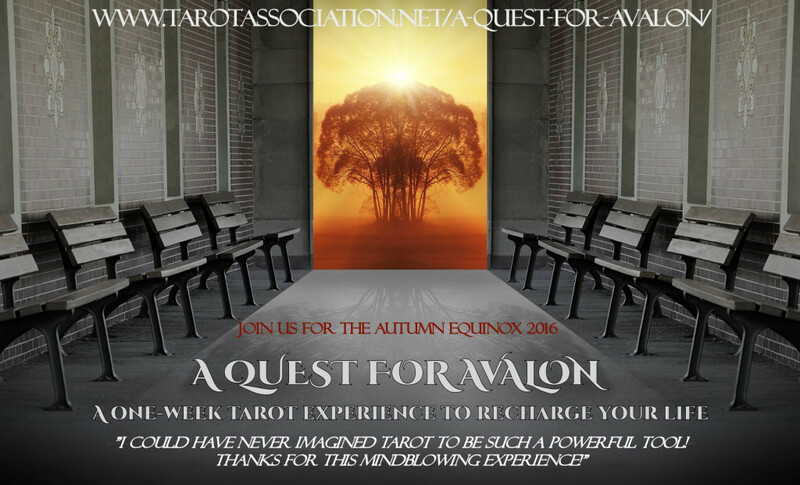 Learn to use Tarot in unexpected ways with support from your fellow Questers and make changes in your life guided by the Tarot itself! In this exclusive Gated Spread® Experience, join an online group of fellow seekers armed with nothing more than your favourite tarot deck! This experience will start on TUESDAY SEPTEMBER 13th and last 7 Days until Tuesday 20th SEPTEMBER. Without giving too much away, during the week we will be exploring the use of the cards to identify our accomplishments and recharge for positive changes in life. It will likely not only open a new view of the tarot to you but also equip you better to answer questions and find solutions in reading for significant life-changes with clients and yourself. Take your place on this magical quest for just $14.99.